This video will go over some simple exercises, going over briefly several good ways to get your body ready for a game. 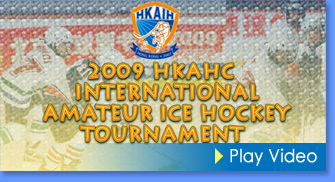 The Hong Kong Amateur hockey Club has been running a tournament for the past 7 years and this episode showcases some of the events during the event. 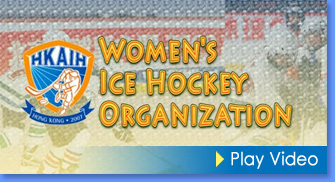 This fourth installment talks about the Women’s Ice Hockey Organization which has been in operations since the 1990’s. 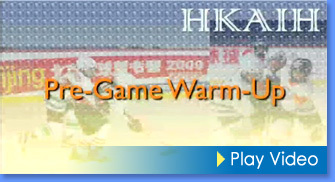 The organization has been working diligently in Hong Kong to promote ice hockey to youths and adults. This part shows students participating in our pre-season camp which is run during the summer. 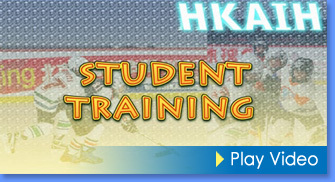 Students from ages 8 – 12 work hard to get ready for the next season of ice hockey. In the latter section, Assistant Coach Kyle Simms explains briefly some information about referees and their duties. 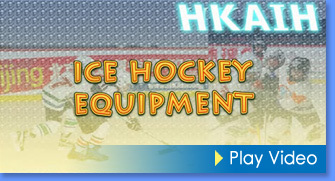 The second part of episode one shows Assistant Coach Kyle Simms explaining the equipment used in the sport of ice hockey. Equipment must be light so as to allow players to move quickly but also be protective. The first part of episode one shows a school demonstration at the St Margaret’s Girls’ College. The college was keen to have the academy come over to do a demonstration for their girls because many of them had never been exposed to the sport. In the latter section of this first part is a demonstration at the Hong Kong Jockey Club Federation of Youth Groups centre in Wong Tai Sin. 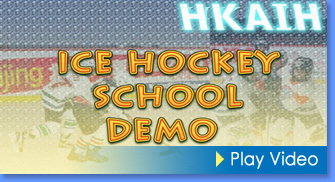 This group of students was later given a chance to go on ice to participate in an on ice demo as well.